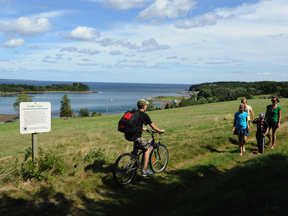 The Guysborough Nature Trail section of the Trans Canada Trail is located within the village of Guysborough in the Eastern Shore region, extending 55 kilometres (34 miles) from the village to Country Harbour St Mary’s municipal line. 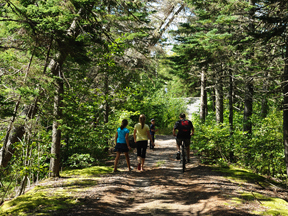 Enjoy several pristine waterfalls adjacent to the trail, a cable suspension bridge, and unique trail-edge habitat and history. Parking is available. 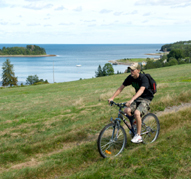 Trail activities include hiking, cycling, shoeshoeing and snowmobiling.